This is the second post in our Sourcing for Independence series! Welcome back! Did you miss the first one? Click here to check it out. Whether you are doing this part time of full time, the main thing to remember is that you need to be a legal business. That’s right, whether it’s a hobby or a full time effort, if you aren’t legal then you can’t legally work with genuine wholesale suppliers. It doesn’t matter where you sell either, it matters WHO you work with. If you truly want to buy wholesale products, if you aren’t a legal business, these wholesalers will simply turn you down for an account. Why? Because they need to have a record of who you are for their tax reporting. When you buy wholesale products from a wholesale supplier, they aren’t charging you sales taxes. They have to report to the government WHY they didn’t charge sales for your orders and your tax ID number is what they supply to show proof of that. If a “wholesale supplier” doesn’t ask for a tax ID, they are usually doing something bad for your business. They could be sneaking the sales tax into the “wholesale price” and that just lowers your profit margin. Or, they’re not a TRUE wholesale supplier and just a middleman passing the orders to the real supplier and providing the supplier with THEIR tax ID information. Either way, your profit margins are lowered because a middleman always increases prices so they can make more profit and that leaves your business struggling to compete and the middleman is succeeding. Now, this doesn’t apply to EVERY wholesaler out there. Some wholesale suppliers are in tax exempt States and others are overseas. But use that as a general rule of thumb when looking for suppliers to use or you can use a Directory like ours where we have already verified the suppliers are REAL wholesale suppliers and work with retailers that sell online. Becoming a legal business is not hard and many States make it really easy with online forms and low costs. Whether you decide to start a corporation or a fictitious name or DBA (doing business as), you have to file this with your state. Many states have these forms online, so you can do a search for Register a Business in ____ and fill the blank with your state name. Look for sites that end with .gov or .org in the search results for government related sites and not other sites pushing you to buy their service to do this. You can set up many types of entities on your own. If you decide a Corporation is the way to go, you may need to consult a lawyer for help. But your State website will give you the forms to do it yourself. The Fee for this can run anywhere from $25.00 to $200.00 or more depending on the level of business you start. A Tax ID is called different things in different States. Sometimes called a Sales & Use tax ID, or Seller’s Permit, or Reseller Certificate and etc. Basically it’s an ID number that allows you to buy wholesale products without getting taxed and to charge sales tax to customers in your State. Do this after you get your business name registered. You can find the forms for this your State’s Department of Revenue site. So just do a search for that to locate it. The fee for this can run anywhere from $0.00 to $50.00 in most States. Once you get legal, then you can legally work with REAL wholesale suppliers, get REAL wholesale pricing and you are on the right path to success. Don’t want to spin your gears trying to find real wholesalers on your own? It takes a lot of time and effort to find suppliers that work with online retailers and even more time and effort ensuring that they are real wholesale suppliers. So get our Directory! 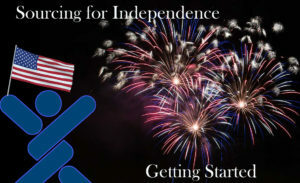 We are running an Independence Day Discount, so now is great time to join! One-time fee for a lifetime membership and new wholesale sources added every business day! 1. Manufacturers make the products and a lot of manufacturers will sell wholesale to retailers and others send their products to Authorized Distributors and never to retailers directly. 2. Authorized Distributors have large warehouses and offer products from different manufacturers. So you can get variety of products and brands with a distributor that you can’t get with working with the manufacturer directly. Authorized Distributors will sell to retailers and to wholesalers. 3. Wholesalers sell to retailers and also to other wholesalers, creating sub-wholesalers. As you move down the supply chain, the wholesale prices increase. These companies have to make money too! So getting to the highest tier of the supply chain is where you find the best pricing. It’s difficult to find genuine wholesale sources if you search online. Search results are full of middlemen, fake and fraud suppliers and they are GREAT at getting their sites to the top of the search engines because they are marketers, not wholesale suppliers. So don’t use keywords like wholesale products or dropshippers when searching online. Most legitimate suppliers do not go after these keywords, and rely on trade shows and Directories to get their names out there to retailers. We have had many members of the years give us horror stories about companies they thought were genuine wholesale suppliers, but ended up being a middleman constantly upselling other services that they just NEEDED to have or a fake supplier that just ran away with their money. So where do you find REAL wholesale sources willing to work with online retailers? Trade shows is a great start and that’s where we get most of the wholesalers in our Directory. You can do this yourself of course! But there is a lot of legwork involved. Not all suppliers will work with online retailers and not all will dropship. So be prepared for a lot of NO’s. Cut out all that extra work by getting a membership to our Directory of WBI Certified Wholesalers and Dropshippers. We have already done this work for you, and as everyone knows, Time=Money. Not a member yet? We are currently running a $50.00 discount! 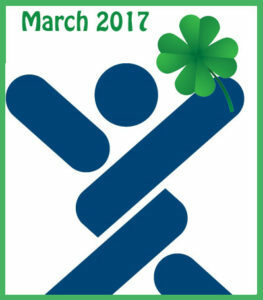 Get your membership today! It has become increasingly difficult for online retailers to stand out from their competition, due to all the new online sellers. As an online seller, you need to stand out from the crowd and here are some suggestions on how to accomplish this. The more you know about the products you are selling, the better you can talk about them. When selling online, expertise and knowledge sells. The more you know = the more valuable information you can provide about the products.I have talked about the dangers of datafeeds (API’s, RSS, XLS, CSV and etc) a few times in this blog, and I really want to drive this home for you. So perhaps I need to be more blunt about them, since we get asked often through customer service if we have suppliers listed with feeds.Datafeeds, are online store killers. Yes, they are convenient to load a large variety of products and descriptions onto your store with the click of a button, but you are HURTING, not helping your online store succeed if you don’t then go through and then carefully craft the descriptions and information about those products.Search engines such as Google, like UNIQUE content and will push down sites or not show sites that have the exact same content on them. They call this duplicate content. Duplicate content will impact your search engine rankings because it confuses the search engines as to which relevant sites to show their user. This will cause your store to either not show in the search engines, or greatly lower your potential for ranking high in the search engines. Search engines will rarely show sites with duplicate content. They will generally pick a popular site that pays for advertising or gets a lot of traffic to show instead of your store. So you need to cater to your chosen demographic by writing the descriptions for the products yourself. An About Us page helps customers know who they are buying from. Personally, if I’m looking at a website I have never purchased from, I will take a look at the About Us page to see who I’m buying from, to help instill shopping confidence. I will also look at their return policies, and shipping times so I’m an informed consumer in case any issues arise. With all the internet scams STILL running rampant today online, as a consumer you have to be careful about who you are providing your credit card information to. So make sure to give customers your story, ensure them that they can be confident buying from you, and include how you are different from your competitors & all of that can help to incite a sale. 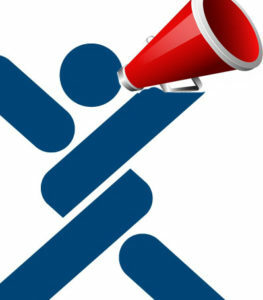 Freebies are great ways to get attention and obtain loyal customers. Social marketing platform users like on Twitter and Facebook LOVE contests and free things and it’s a way to garner attention, and get a bunch of followers that you can promote to.Giveaways don’t have to be free products or free shipping, it can also be educational giveaways, or gift certificates that the consumer can use when shopping at your store. Things like “submit your name and email address” for a free drawing for a $50.00 gift certificate. Doing this once a month or every couple of months, will get eyes on your store and what you have to offer. Customers may see something that they like and even buy from you while waiting to see the results of the contest.Consider this, $50.00 gift certificates or less or more, whatever you can afford, may be scary at first because that is out of pocket expenses for you, but that customer turns into a loyal customer once they order, because they know they are getting what you promised. Plus, the BIG upside, is all the new followers you will get to market and promote to and as a new online store owner, the more traffic you can get and quickly, the better. So $50.00 or so a month, as a cost of acquisition for thousands of new customers to market to, is a big ROI (return on investment) for your online store. Yes, we have talked about this numerous times too. Just do a search on the right for Niche and you will see all of our article about it. Niche marketing is highly important. Don’t try to be a solution for everyone by offering everything. If you do that you dilute your online store, and you have to manage TONS of keywords for SEO and the search engines to make every page of every product relevant for the search engines.Niche marketing is where you choose a set of products, all under the same category. Like Cupcake Decorating Kits for Boy’s Birthdays as mentioned in another blog post or like different types of Archery Releases. Search engines LOVE these types of sites, because your SEO keywords are repeated on practically every page of your store because you are talking about the same types of products over and over. In the search engines eyes, that makes your site an authority on those products and will rank you higher in search engine results.Need to find niche products to sell? Take a look at our Directory! 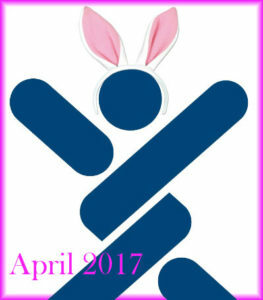 Just a quick note to let you know what we added to the Worldwide Brands Directory of Certified Wholesalers for the month of April 2017 for our members! We added suppliers, that together, offer a total SKU count of over 170,000 SKUS! Dropshipping is hugely popular with online sellers. That’s why we focus a lot of our time and attention locating and Certifying new Dropshippers every week. As you know, our Directory of Certified Wholesalers lists thousands of Certified Drop shippers (and grows weekly) giving our Members fresh new exciting products to choose from all the time. Dropshipping offers a lot of conveniences to sellers such as low upfront costs, no inventory requirements and low risk. However, the flip side is that YOU have to do some extra work if you want to make drop shipping work for your online business. So if you plan on using a Dropshipper, then you need to plan on being more selective when you’re deciding what to sell. So how do you pick the best products to sell for Dropshipping? We asked the product research folks at Sell-Niches.com to put together a few tips to help answer this very important question. Tip 1: Don’t be stubborn with your product choices. You can’t walk in with the mindset that “I’m only going to sell product x” or you’ll probably be disappointed pretty quickly. You’d be surprised how many new sellers have their heart set on selling (what turns out to be) highly competitive products for their first time selling online or products you simply cannot get as an online seller. Here’s how it usually goes down…they have an idea for a product they really want to sell. They don’t do any research they just jump right to finding a Dropshipper, contact them, get their wholesale price and then their jaw drops to the floor when they see their wholesale price being higher than other people’s retail price they see online. They get upset, confused and then usually give up without ever considering any other products. That’s a huge mistake. If you plan on using a Dropshipper then you need to be prepared to RESEARCH A VARIETY OF PRODUCTS. In fact some of the best products will be ones that you may have never considered selling before. Most new sellers tend to look only at products ‘they like’ or products they see advertised on TV and as a result, all they see are dropship wholesale costs that offer no profit margins because those types of products are competitive products with volume buyers and sellers. If you’re a Member of Worldwide Brands you really have an advantage here that most other sellers don’t have. Worldwide Brands has got one of the biggest Dropship Directories we’ve ever seen with more dropship product choices than any other Directory so use that to your advantage. Start to include some products in your research that aren’t products you thought about selling when you started. Be open to selling products you may not know much about yet. By breaking away from ‘common mainstream products’ you’ll start seeing products you can dropship that have wholesale prices you can profit from. Tip 2: Look for products with “Lower Demand”. Sounds odd but it’s true. “Lower demand” products work better with Drop shipping because lower demand products typically have less competition from those big retailers. You might be thinking…but doesn’t a low demand mean I won’t get many customers? Not at all. The online world is big. I mean…REAL BIG. So what’s considered “low demand” online can still mean hundreds or even thousands of customers a month. To a big retailer, only getting a few hundred customers a month isn’t enough to sustain their company, employees and other business expenses. However, to a small home-based online seller with little overhead, hundreds of customers a month add up really fast. So when you’re doing your demand research, don’t be so quick to dismiss a product that you may think has ‘low demand’. It may just be a product worth researching further. As you may have guessed, at Sell-Niches.com we LOVE NICHE PRODUCTS. Why? Because we’ve found (like many others have discovered) that selling to niche markets is a great way to build a business as a NEW online seller. If you plan on using a Dropshipper, niche markets are *ideal*. Most big retailers don’t mess around with niche products because big retailers have big overhead so they need to attract a lot of customers as fast as possible. They need to sell mainstream products that attract millions of shoppers. So for them, niche products are considered a waste of time. That’s great news for small home-based businesses! When you start researching niche products you’ll start seeing what you’ve been hoping to see. You’ll start finding products with better profit margins, you’ll start seeing your dropship wholesale prices LESS than other retailers prices in that space, you’ll see cheaper advertising costs and the list goes on. So why isn’t everyone selling niche products? Simple. Most people don’t know how to do product research. They just know how to look for products they know, have used or see commercials on TV. When those products turn out to be too competitive for Drop shipping, they don’t know what to do next and like I said before, they just give up hope. 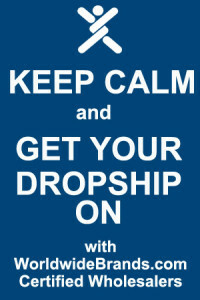 First, make sure you have a REAL Dropshipper to ensure you are getting true wholesale. 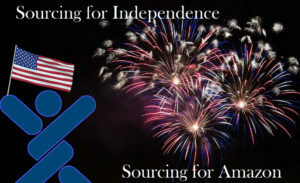 If you need help getting a real dropshipper look no further than www.WorldwideBrands.com. They are the most trusted source for Certified Wholesalers for a reason. Just a quick note to let you know what we added to the Worldwide Brands Directory of Certified Wholesalers for the month of March 2017 for our members! We added suppliers, that together, offer a total SKU count of over 9,000 SKUS!